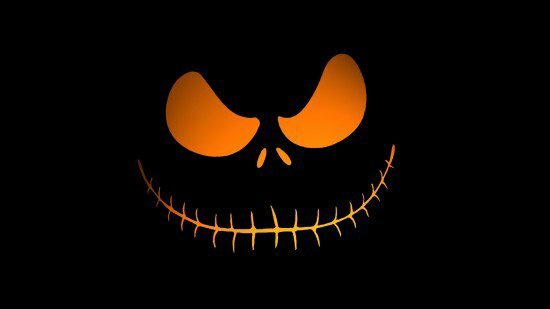 This is Halloween, this is Halloween Halloween! Halloween! Halloween, or Hallowe'en (/ˌhæləˈwiːn, -oʊˈiːn, ˌhɑːl-/; a contraction of All Hallows' Evening), is a celebration observed in a number of countries on 31 October, the eve of All Hallows' Day. It begins the three-day observance of Allhallowtide, the time in the liturgical year dedicated to remembering the dead, including saints (hallows), martyrs, and all the faithful departed. All Hallows' Eve is a Christianized feast influenced by Celtic harvest festivals, with possible pagan roots, particularly the Gaelic festival Samhain. Halloween activities include trick-or-treating, attending Halloween costume parties, decorating, carving pumpkins into jack-o'-lanterns, lighting bonfires, apple bobbing, fortune-telling games, playing pranks, visiting haunted attractions, telling scary stories and watching horror films. In many parts of the world, the Christian religious observances of All Hallows' Eve, including attending church services and lighting candles on the graves of the dead, remain popular, although elsewhere it is a more commercial and secular celebration. Some Christians abstain from meat on All Hallows' Eve, eating instead apples, colcannon, potato pancakes and soul cakes. The word Halloween or Hallowe'en dates to about 1745 and is of Christian origin. The word "Halloween" means "hallowed evening" or "holy evening". It comes from a Scottish term for All Hallows' Eve (the evening before All Hallows' Day). In Scots, the word "eve" is even, and this is contracted to e'en or een. Over time, (All) Hallow(s) E(v)en evolved into Halloween. Although the phrase "All Hallows'" is found in Old English (ealra hālgena mæssedæg, all saints mass-day), "All Hallows' Eve" is itself not seen until 1556. Development of artifacts and symbols associated with Halloween formed over time. Jack-o'-lanterns are traditionally carried by guisers on All Hallows' Eve in order to frighten evil spirits. There is a popular Irish Christian folktale associated with the jack-o'-lantern, which in folklore, is said to represent a "soul who has been denied entry into both heaven and hell. The traditions and importance of Halloween vary greatly among countries that observe it. In Scotland and Ireland, traditional Halloween customs include children dressing up in costume going "guising", holding parties, while other practices in Ireland include lighting bonfires, and having firework displays. In Brittany children would set candles in skulls in graveyards. Mass transatlantic immigration in the 19th century popularized Halloween in North America, and celebration in the United States and Canada has had a significant impact on how the event is observed in other nations. This larger North American influence, particularly in iconic and commercial elements, has extended to places such as South America, Australia, New Zealand, (most) continental Europe, Japan, and other parts of East Asia. In the Philippines, on the night of Halloween, Filipinos return to their hometowns and purchase candles and flowers, in preparation for the following All Saints Day and All Souls Day (Araw ng mga Patay) on 1 November.